Series Intro Where does our food come from? These days, most people might think corn, the ubiquitous grain that provides the bulk of feed for our livestock; most of the sweetener for our soft drinks and snacks; and a large amount of our cooking fat. But where does the corn—and other staple crops—come from? The answer to that question lies beneath our feet. Healthy soil is our food system’s bottom line. Without it, food crops won’t grow. Farming, especially on today’s industrial scale, is tough on soil, draining essential nutrients. The most critical nutrient is nitrogen, the building block of plants. A lot of energy and money have been spent figuring out how to replace it in the soil. In the past 50 years, led by the United States, global agriculture has come to rely increasingly on a cheap, synthetic form of nitrogen produced in fertilizer factories that are powered by natural gas and other fossil fuels. Before World War II, when the fertilizer industry was in its infancy, farmers used very little synthetic nitrogen. By 1964, U.S. farmers were applying about 4.3 million tons annually. In 2007, the last year for which the U.S. Department of Agriculture has figures, farmers dropped 5.7 million tons on the nation’s corn crop alone. We now know that the undeniable benefits of synthetic nitrogen come with serious costs, both to the environment and to public health. In this special Grist series, we’ll be looking at where synthetic nitrogen comes from and what our reliance on it is doing to our health and to the health of our waterways and climate. We’ll also be looking at ways in which synthetic nitrogen can be used more wisely—and, as much as possible, phased out. The question of where our food comes from will take us on a journey from the farm out to the fertilizer factory—and even farther, to the globe’s finite and far-flung natural gas deposits. And more important than where synthetic nitrogen comes from is where it will take us. As with anything fueling a system that feeds a nation of 300 million, there are no easy answers to the nitrogen dilemma. But we will pose the hard questions—and try to generate debate about a critical ecological issue that remains obscure and little-discussed. Few people spare a thought for nitrogen. But with every bite we take—of an apple, a chicken leg, a leaf of spinach—we are consuming nitrogen. Plants, including food crops, can’t thrive without a ready supply of available nitrogen in the soil. The amount of food a farmer could grow was once limited by his or her ability to supplement soil nitrogen, either by planting cover crops, applying manure, or moving on to a new, more fertile field. Then, about 100 years ago, a technical innovation enabled us to produce a cheap synthetic form of nitrogen, and voila! Agriculture’s nitrogen limitation problem was solved. The age of industrial nitrogen fertilizers had begun. The breakthrough, by German chemists Fritz Haber and Carl Bosch (rhymes with posh), made it possible to grow many, many, many more crops per acre. For the last 50 years, farmers around the world have used synthetic nitrogen fertilizers to boost their crop yields and drive the 20th century’s rapid agricultural intensification. To see nitrogen’s ill effects up close head to the mid-Atlantic coast and visit the Chesapeake Bay, the nation’s largest estuary. Once the site of a highly productive fishery and renowned for its oysters, crabs, and clams, today the bay is most famous for its ecological ruin. A significant portion of the Chesapeake Bay pollution comes from agricultural operations whose nutrient-rich runoff—in the form of excess nitrogen and phosphorus—fills the Bay’s waters, leading to algal blooms, fish kills, habitat degradation, and bacteria proliferations that endanger human health. The nitrogen runoff comes from the synthetic fertilizer applied to farm fields, as well as the manure generated from the intensive chicken farming on the east bay. Of course, the nitrogen in that chicken manure—some 650 million pounds per year, according to The New York Times— can largely be traced to synthetic nitrogen; the chickens are merely recycling the synthetic fertilizer that was originally applied to feed crops. This type of reactive nutrient pollution is now so common that the dead zones, acidified lakes, and major habitat degradation it can cause are occurring with greater frequency, not just in the Chesapeake Bay, but in other parts of the United States and around the world. Nitrogen is ubiquitous. It makes up 78 percent of the earth’s atmosphere. But atmospheric nitrogen is inert. It exists in a stable, gaseous form (N2), which plants cannot use. Unless nitrogen is made available to plants, either by nitrogen-fixing bacteria in the soil or by the application of fertilizer, crops won’t grow as productively. The German chemists Haber and Bosch found a way around this availability problem. Originally conceived as a way to make explosives for war, their technique turned inert nitrogen gas into highly reactive ammonia (NH3), a form of nitrogen that can be applied to soil and absorbed by plants. With their discovery, nitrogen ceased to be a limiting factor in agriculture. The widespread use of synthetic fertilizer took off after World War II when innovations allowed nitrogen fertilizer to be produced inexpensively and on a grand scale. When Norman Borlaug, a leader of the Green Revolution, and other plant breeders began developing and exporting dwarf, high-yielding, fertilizer-loving varieties of corn and wheat, the new chemical fertilizer addiction went global. In 1960, farmers in developed and developing countries applied about 10 million metric tons of nitrogen fertilizer to their fields. In 2005, they applied 100 million metric tons. This order of magnitude increase coincided with the Green Revolution. Indeed, nitrogen fertilizer is largely responsible for the phenomenal crop yield increases of the past 45 years. Without the additional food production fueled by nitrogen fertilizer, researchers estimate that two billion fewer people would be alive today. Modern agriculture—and, consequently, present-day human society—depends on the widespread availability of cheap nitrogen fertilizer, the ingredient that makes our high-yielding food system possible. But the industrialization of this synthetic nitrogen fertilizer has come with costs. The high temperatures and very high pressures needed to transform N2 to NH3 are energy intensive. About one percent of the world’s annual energy consumption is used to produce ammonia, most of which becomes nitrogen fertilizer. That’s about 80 million metric tons (or roughly one percent) of annual global CO2 emissions—a significant carbon footprint. Nearly half that fertilizer is used to grow feed for livestock. Herds then return the nitrogen to the landscape, where it contributes to several different kinds of pollution—the second cost of synthetic nitrogen. Synthetic fertilizer is made with reactive nitrogen—that’s what makes the fertilizer easy for plants to use. As it turns out, though, reactive nitrogen doesn’t always stay where you put it. Farmers may apply this synthetic fertilizer to their cornfields, but the nitrogen in it will happily engage with the soil carbon, oxygen, and water in its environment. This is the essential problem with reactive nitrogen—its ability to morph and move around, often to unhealthy ends (see illustration). Estimates vary on just how much nitrogen escapes from fields and remains reactive and potentially harmful, but it’s not unreasonable to assume that plants absorb 30 to 50 percent of the nitrogen in the soil. So if a farmer applies 125 pounds of nitrogen fertilizer to an acre of corn, 30-50 percent of it will end up in the corn; as much as 70 percent—or 87 pounds per acre—could end up somewhere else. There is an obvious way around this nitrogen problem: use less fertilizer more efficiently. But there’s not much incentive to cut back. Farmers get paid by the ton, which makes yields the driving force of modern agriculture. Most agronomists agree that farmers can get the same yields without applying as much fertilizer and manure as they now do. But few farmers are willing to take that chance. Many farmers use fertilizer as a form of insurance; better to apply a little too much and get high yields than apply too little and risk yield (and profit) declines. The challenge then is to find a way to provide plants with enough nutrients to maintain high yields while also minimizing nitrogen leakages. This may sound straightforward, but it’s tough to find mainstream farmers who are using nitrogen efficiently and safely. There simply aren’t incentives to do so. Fertilizer is cheap, and polluters don’t pay. The situation might change if nitrous oxide becomes regulated under climate legislation. But in the climate bills currently making their way through Congress, agricultural emissions are explicitly exempted from any cap. Even if ag-related nitrous oxide emissions did get capped, policies would have to address efficiency directly. Otherwise, a climate-focused policy risks encouraging farmers to adopt practices that simply force the reactive nitrogen in another direction—into ground and surface water, for example. Farmers don’t over-apply nitrogen on purpose. Nor do they want to contribute to estuary pollution and dead zones. But for 40 years, we’ve invested in a type of agriculture that rewards high yields over all other considerations. U.S. grain farmers operate under pressure to generate volume, and have little or no incentive to conserve synthetic nitrogen along the way. Under the Farm Bill, commodity farmers get subsidies based on how many bushels they churn out, not how efficiently they use nitrogen. Even when fertilizer prices spiked in 2008, synthetic nitrogen remained a remarkably cheap resource—and corn farmers had every economic reason to lay it on liberally. In their 2009 paper in the Annual Review of Environment and Resources, researchers G. Philip Robertson from the University of Michigan and Peter M. Vitousek from Stanford noted that the cost of applying a little additional nitrogen to a cornfield is more than paid for by the marginal gains in yield. In other words, corn is really cheap—but nitrogen is even cheaper. Scientists now know that this arrangement can’t last forever—agricultural intensification has come with enormous costs. They also know there are other ways to manage crops and reward farmers. The Rodale Institute’s research on high yield production using cover crops to build soil organic matter and biologically fix nitrogen provides one example of a potential alternative to current practices. But the incentive structure around farming must change. No longer can farm-support policy blindly push maximum yield. Farmers should be rewarded at least as much for conserving nitrogen and building the organic matter in soil. Rodale’s research suggests that those goals can be achieved without sacrificing much in the way of long-term yield. [Chesapeake] Bay.” As it turns out, the Bay and other nitrogen-threatened ecosystems need more than cooperation to get healthy. They need the kind of political will that will take nitrogen efficiency and impacts seriously—and force actual changes to agricultural practices. And endangered ecosystems need for those changes to happen soon. We don’t have another quarter century to spare. California dairy farmer Joey Rocha. Photo: Stephanie OgburnTurlock, Calif.—Joey Rocha tends 2,800 cows at his Central Valley dairy. That may sound like a large herd, but in California, Rocha is a mid-sized dairy producer. Taken together, California’s dairy cows produce more than 100,000 tons of manure every day. Rocha and his fellow dairy farmers put all those cow pies to good use—as fertilizer for the fields that grow the corn that feeds their herds. It’s a perfect closed-loop system, except for one big problem: nitrogen. Manure is nitrogen rich, which makes it a great fertilizer. But by applying every last bit of manure to their fields, California dairy farmers—and non-dairy farmers as well—are dosing their crops with more nitrogen than the plants can absorb. The excess nitrogen is causing serious air and water pollution problems and may even be threatening the health of the soil. There are ways around this problem: dairy producers and farmers could dial back on the manure and synthetic fertilizers they apply. But there’s not a lot of incentive to do this. Yields are the driving force of modern agriculture. Whether a farmer is growing corn to feed his dairy cows or someone else’s, he gets paid by the ton. If he can apply a little extra of something that is cheap or free (fertilizer or manure) in order to ensure a high yield, that’s a no-brainer. Although most agronomists will tell you that farmers over apply nitrogen and can get the same yields without adding as much fertilizer and manure as they do, few farmers are willing to take that risk for an environmental benefit that doesn’t impact them. Thus, nitrogen pollution from farms is really a kind of market failure: individual farmers have little or no incentive to act in a way that protects the groundwater beneath them. But the public does have an interest in clean water; and public action will likely be required to change the incentive structure. That’s where risk-reduction programs such as the Best Management Practices (BMP) Challenge come in. The BMP Challenge, a unique program available in 18 major farming states, allows farmers to try environmentally-beneficial management techniques by offering to pay them for any costs they might incur in the process. The program, originally started by American Farmland Trust and now run by a company called AgFlex, is focused mostly in areas where nitrogen runoff is causing big problems: the Chesapeake Bay, Mississippi River watershed, the Great Lakes Region, and now California dairies. Farmers who enroll in California’s BMP Challenge agree to apply less manure to their corn, and to try and target that application at times when the corn will actually absorb most of the nitrogen in the manure. If farmers’ yields dip, the program compensates them for their loss. If their yields increase or hold steady, farmers pocket the savings from reduced fertilizer use and higher yields. Limiting risk is a key component in getting farmers to try new practices that have favorable environmental results, says Ferd Hoefner, policy director for the National Sustainable Agriculture Coalition, a D.C.-based policy group. The BMP Challenge gets farmers over the financial hurdle. For Rocha, it was a “no-fear” option. “There’s nothing unattractive about it,” he says. Of course, paying farmers to try new practices can get expensive. Farm conditions vary and the program has to pony up to pay for yield reductions. Ideally, says policy analyst Hoefner, the program might work well as a kind of national insurance policy for farmers willing to try something new. In Hoefner’s view, modest programs like the BMP Challenge could have a lot of short-term impact. But when it comes to creating truly sustainable agriculture systems, Hoefner says his organization would like to see more support for widespread systemic changes in how dairy farms, and other farming systems, operate. Such changes would include returning to traditional pasture-based grazing systems, and exchanging concentrated animal feeding operations such as Rocha’s for smaller livestock production approaches that integrate animals into farming systems with techniques such as rotational grazing. Rocha didn’t get his usual yields last year, but he’s game to try the BMP Challenge or some other similar program again. In the long run, what matters most is the effect that Rocha’s experiment has on his dairy farming neighbors. If they see him getting more yield with less manure, they may start doing what he’s doing—and if that happens, the practice of smart nitrogen use could snowball. Manure management isn’t as much fun as watching Peyton Manning launch a Hail Mary in hi-def, though, and if California dairies follow the same trend as California farmers who failed to adopt conservation tillage, Dusault’s HDTV penetration model may not apply. The truth is it’s too early to tell how effective the BMP Challenge for California’s dairies will be. What is clear is that unless government steps in to share some risk or change financial incentives, farmers across the country will likely continue overdosing their fields with nitrogen—to the detriment of our ecosystems and our health. We burn through more of it per capita than any other country; and our appetite for it can only be sated with massive imports. No, not oil—I’m talking about nitrogen fertilizer. With only 5 percent of the world population, the U.S. consumes nearly 12 percent of the globe’s annual synthetic nitrogen fertilizer production. And we’re producing less and less of it at home—meaning that, as with petroleum, we’re increasingly dependent on other nations for this key crop nutrient. Instead, with natural gas prices high, the domestic industry has shrunk. Between 1999 and 2008, domestic nitrogen fertilizer production plunged nearly 40 percent, according to a USDA report [PDF]. 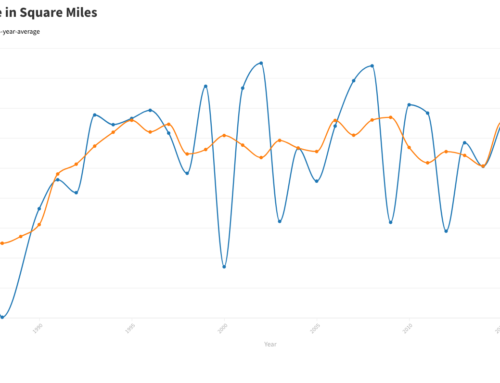 But demand for nitrogen—the juice that keeps those big corn crops coming—rose steadily. To fill the gap, we now import more than half of the nitrogen we consume, compared to about 15 percent just a decade ago, the USDA report states. Like most of the agribusiness sector, the North American nitrogen fertilizer industry is tightly consolidated in the hands of a few large companies. A December 2009 report from the fertilizer-industry research group IFDC tells the story. (The proprietary report, called “North American Fertilizer Capacity,” is available for a fee here.) Ammonia (NH3) is the main ingredient in the nitrogen fertilizer farmers spread on fields. Four transnational companies—CF Industries, Koch Nitrogen, PCS Nitrogen Fertilizer, and Terra Industries—generate 72 percent of the ammonia produced in the United States. Another major nitrogen fertilizer product is urea—used both on farm fields and as a cheap protein enhancer in cow feed. For urea, those same four companies control nearly 84.8 percent of the market, IFDC figures show. As the overall U.S. N fertilizer industry faltered, those companies gobbled up market share. And they concentrated production in areas rich in natural gas—the Mississippi Delta, Oklahoma, and the Texas panhandle. Perhaps not coincidentally—given the petrochemical industry’s political power—these same areas also tend to have weak environmental protection regimes. CF’s few remaining rivals in the North American nitrogen production space have also had environmental slip-ups. Agrium—which dominates Canada’s N fertilizer market and has a strong presence in the U.S.—and Terra Nitrogen both appeared on Environmental Defense’s HPV list. Scorecard counts Terra’s large facility in Claremore, Okla. among the top ten percent of the “dirtiest/worst facilities in the U.S.” In March of this year, the EPA ranked Terra’s plant number five on its top-ten list of facilities with the highest level of chemical releases in Oklahoma, with 2.7 million pounds of chemicals released. Another fertilizer facility, Koch Nitrogen’s plant in Enid, Ok., placed third, with 3.3 million pounds released. Meanwhile, the three largest players in the North American N market—CF Industries, Terra, and Agrium—appear on the verge of morphing into two companies. They’re locked in an extraordinary three-way proxy fight—Agrium is making a hostile bid to take over CF Industries, which is involved in a hostile bid to take over Terra. Whatever the outcome, our tightly consolidated nitrogen industry looks set to get more consolidated. If Trinidad and Tobago—a small island nation of 1.2 million citizens off the coast of Venezuela—supplies more than half our nitrogen imports, that means it provides fully a quarter of the synthetic nitrogen used in U.S. agriculture. Then there’s the uncomfortable fact that Russia and Ukraine are embroiled in a bitter dispute over natural gas. Russian natural gas exports to Europe pass through Ukraine, and Russia has accused Ukraine of siphoning off product. Twice in the last decade—most recently last winter—Russia slashed natural gas shipment to Ukraine, causing shortages in Europe as seasonal demand for heating gas was at its height. As a result, the International Energy Agency revoked Russia’s status as a natural gas supplier to Europe. Ukraine’s nitrogen fertilizer industry, which relies heavily on Russian natural gas, could have similar problems in the years ahead. 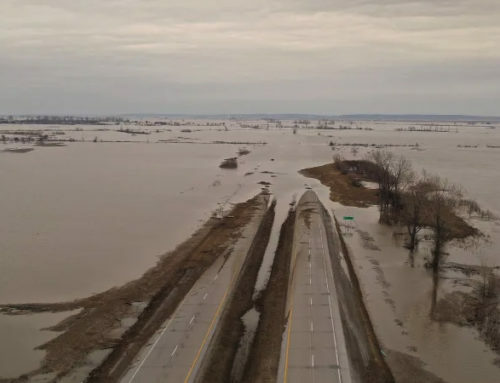 To understand our impact on nature, there is truth in the saying, “everything is connected.” Few situations illustrate this concept as dramatically as the agricultural wastes from the Midwest that contribute so seriously to the aquatic dead zone in the Gulf of Mexico. Human activities and natural phenomena occurring on land masses combine to impact air quality and small-scale climate systems. Wastes and sediments flowing off lands affect natural concentrations of nutrients in water and the health of aquatic habitats. Gases suspended in air dissolve into sea water and disrupt the normal chemistry of oceans. These releases, often invisible where the problems originate, can have repercussions in other states or nations through natural systems that are not at all limited by political boundaries. 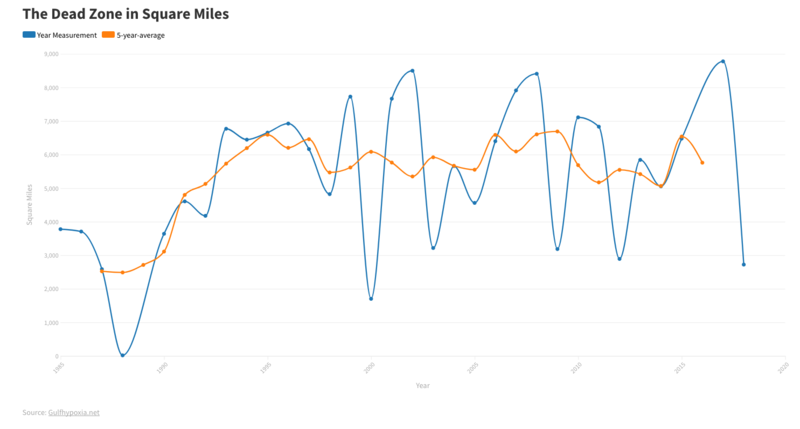 Time and distance too often obscure the impacts, hiding unintended or unknown connections with downstream costs. Take the example of crops growing hundreds of miles inland in the “I-states,” and the putrefying aquatic ecosystems in the Gulf of Mexico. The Mississippi River Basin empties into the Gulf below New Orleans. It drains the U.S. Heartland and upper Midwest, home to most of the country’s prime agricultural land outside the state of California. Lots of fertilizer is applied every year in this watershed to produce lots of non-organic corn, soybeans, cotton, and rice. Massive amounts of agricultural nutrients escape these fields through erosion, runoff, and leaching through soil into groundwater. 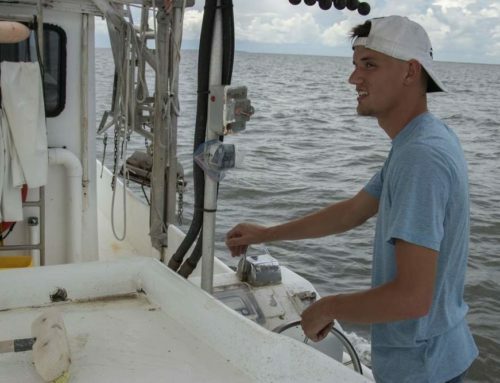 These intended-nutrients-turned-agricultural-pollutants have disastrous effects when they accumulate in the Gulf waters. “Dead Zone” The term sounds morbidly ominous, with good reason. 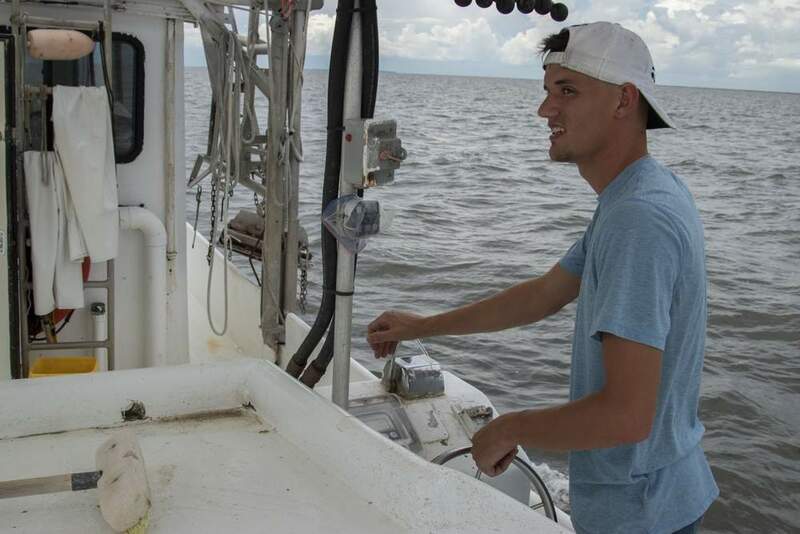 During the summer months, a huge amount of water with limited dissolved oxygen ranging from 5,000 to 8,000 square miles in size (approximately the size of Connecticut to that of New Jersey) forms in the Gulf. Nitrogen and phosphorus runoff nourishes algae, causing massive blooms in the water. As algae decompose, oxygen is removed from the water. Aquatic life forms are asphyxiated and die off. Stocks of large fish dependent on these tiny plants for food are affected, causing fishermen to experience a lower catch and the possible loss of their livelihoods. Result: U.S. consumers are deprived of seafood from one of the nation’s most important fisheries. 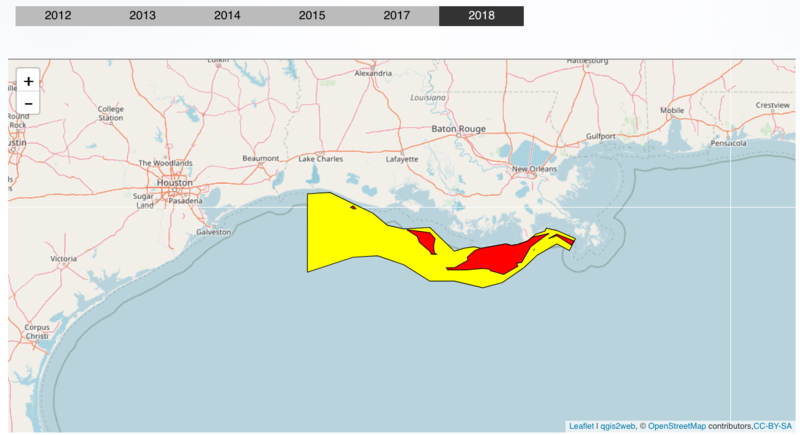 The Gulf of Mexico dead zone has been a huge problem for the past 20 years impacting all states with significant fisheries along the gulf’s borders: Texas, Louisiana, Mississippi, Alabama, and Florida. The production losses of shrimp, crabs, grouper, and red snapper from the unique region impact domestic seafood commerce across the country. Why hasn’t its agricultural cause been aggressively addressed, instead of being treated almost as a cost of doing business? Federal farm policy designates billions of dollars to fund agriculture through production subsidies. Because subsidy income is based on yield rather than ecological impact, applying fertilizer is considered essential to optimizing commodity production. Trouble is, too much of that fertility leaves the fields. 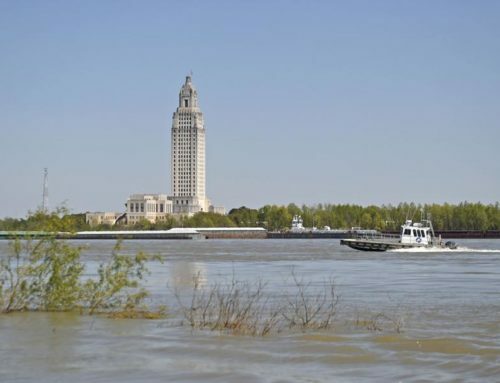 Research conducted by the Environmental Working Group indicates that when spring runoff pollution is at its highest, more than 7.8 million pounds of fertilizer nitrate flow down the Mississippi River to the Gulf of Mexico every day. 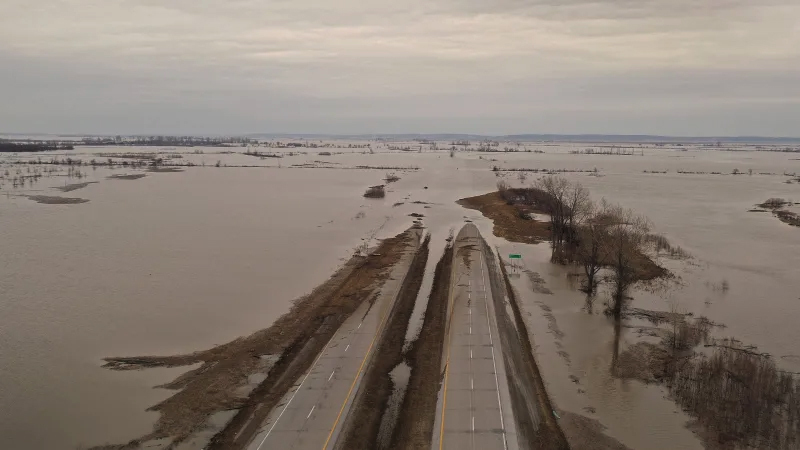 The United States Geological Society has identified Illinois, Iowa, Indiana, Missouri, Arkansas, Kentucky, Tennessee, Ohio, and Mississippi as the primary contributors within the far-reaching watershed. These states only make up a third of the Mississippi River Basin’s area, and yet are responsible for more than 75 percent of the nitrogen and phosphorus that enters the gulf. The Clean Water Act was created to improve the nation’s waters so that natural chemical, physical, and biological conditions could be sustained. The legislation determined that pollution from point and nonpoint sources should be minimized, however it can be difficult to identify and reduce nonpoint source pollution such as fertilizer runoff from agricultural operations. Relatively little effort has been undertaken to control nonpoint source pollution, with waterways and fisheries around the country suffering as a result. Fertilizer runoff ends up in streams—and eventually down the Mississippi and into the Gulf. Photo: Rodale InstThe availability of money for the production of subsidized crops compared to the funding provided for conservation programs pinpoints a main reason the gulf’s dead zone exists. Commodity payments between 1995 and 2002 totaled $59.7 billion while conservation subsidies were $8.5 billion. These imbalanced incentives will result in the further depletion of water quality, enlarging the extent of the gulf’s dead zone and affecting additional fisheries. The situation in the Gulf of Mexico is dismal, but certainly not hopeless. A shifting of some funding towards conservation and away from commodity subsidies could have a significant impact on reducing the size of the dead zone. A modest change in current farm policy that directs funding away from degraded lands and towards the conservation of working lands would allow more members of the farming community to benefit from payments. 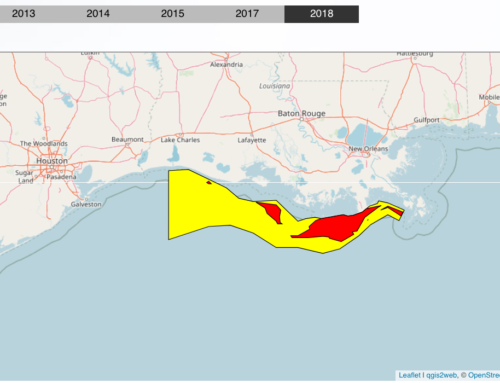 The federal government is working pro-actively to reduce the dead zone after years of taking a hands-off approach to states’ struggles with limiting pollution from nonpoint sources. A federal-state task force is addressing the problem and the EPA has presented targets to reduce nitrogen and phosphorus by 45 percent by 2015 to limit the size of the dead zone. Whatever strategies are ultimately undertaken, two main steps to reduce agricultural pollution reaching the gulf are needed: cut application rates so crops absorb more of the fertilizer, and improve barriers to intercept whatever fertility escapes plant uptake. Nutrient management plans coupled with nitrate tests effectively identify how much fertilizer is actually needed for agricultural productivity, reducing wasteful application. Another solution would involve converting acres of cropland to organically-grown agriculture that greatly increases soil organic matter and includes nutrient-retaining “trap” crops. Returning crop land to pasture and growing more multi-year forage crops would reduce soil erosion risks and the need for applied fertility. These steps would also increase nutrient retention and water management in wet seasons or floods. Further benefits from organic systems would include more microbiologic activity in soils and greater regional biodiversity. The Gulf of Mexico dead zone is an intricate problem with a complicated root cause. Dead zones illustrate the connectivity between natural systems and human actions, as water quality and aquatic health react to nutrient pollution. Attacking the problem will be helped by education on the links between farms and the Gulf, and will be further spurred by decreasing subsidy incentives tied to crop yield or some real disincentive for agriculture-related pollution. Thanks to individuals seeking sustainable innovations that will reduce the escape of nutrients from feedlots and fields, it may be possible to revive a critical fishery through better-managed agricultural production. This article originally appeared on the Rodale Institute’s website. Dean Cooper2017-01-17T09:22:14+00:00February 24th, 2010|News|Comments Off on Series Intro Where does our food come from?